Unlike many destinations in Thailand, Chiang Mai doesn’t require you to choose between creature comforts and the chance to meaningfully interact with the local culture. 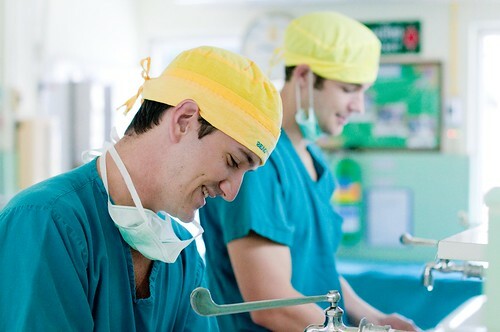 Instead, it generously offers both to volunteers set on getting the most out of their time spent in Thailand. Chiang Mai is famous as Thailand’s Northern retreat away from chaotic Bangkok and the hyped beaches of the south. The northern capital has all the facilities a person on holiday needs, but visitors are only a few kilometers from remote countryside where village life prevails. Tourists prize a Chiang Mai holiday for its shopping, trekking and cultural diversions, but they’re barely scratching the surface of what’s really on tap here. Our volunteers’ assignments take them deeper into Thailand and Thai culture without forcing them to forego the entertainment and facilities offered by this dynamic city. 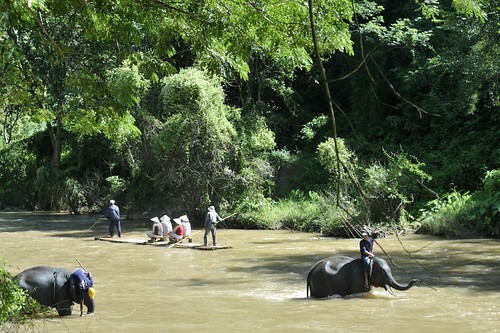 A short drive is all it takes to transfer to a remote elephant camp or a home for single mothers in the countryside. In just a few minutes, the scenery changes from bazaars, Chinese shop houses and Buddhist temples to rice paddies and ambling mountains. This could amount to little more than a drive in the country, but for FFA’s volunteers it’s another day at work. Volunteering in Chiang Mai offers access to Thailand that tourists could never dream of enjoying – especially for volunteers signing up through a well-networked organization like Friends for Asia. 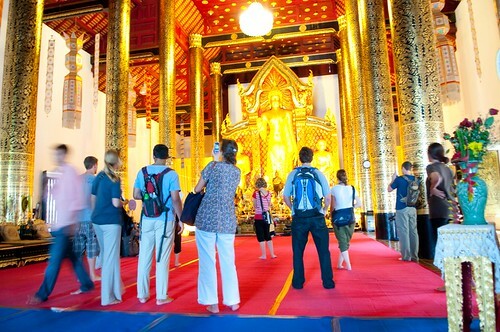 For example, the average tour of Chiang Mai includes a stop at a few better-known temples, peeking in on the Buddha image and reading a few placards in the process. But as a volunteer FFA’s teaching monks project, you’ll proceed through the temple gates and take your place in front of a class of novice monks. In the average day, you’ll have the option to sit in on chanting and meditation sessions or to take the midday meal with students and resident monks. Opposite this, volunteering at the elephant camp finds you bathing elephants, sitting in on training sessions and camping out in mountain valley. Most of the mahouts come from ethnic hill tribe village in the mountains of Chiang Mai’s back country. When not working with the animals, volunteers can teach English to hill tribe children from these villages. The visitors streaming into this functional tourist attraction every day are a constant reminder of how much deeper your experience runs. Our medical interns shadow doctors in both public and private hospitals and enjoy much more latitude than their counterparts in the West. Caregivers at the home for single mothers forge relationships with Thai people that mainstream society has neglected. And volunteers at a children’s home get an inside look at how a highly motivated team of international aid workers can transform the lives of children. These are just a few ways that our volunteers are going behind the scenes in Thailand. In every case, the focus is on contributing to meaningful causes and connecting to real Thai people, which wouldn’t be possible without the backing of FFA.